Ask Steady Eddie, and he’ll tell you that (my) reading has taken him a lot of places he never imagined dreamed he’d go. Like Prince Edward Island, Canada. Or DeSmet, S.D. Or any of the other several obscure places we’ve sought out due to my reading. 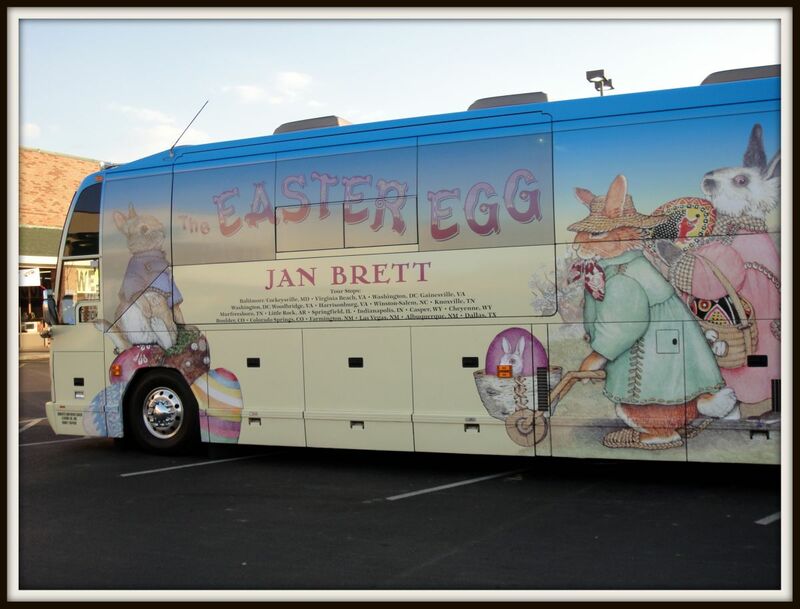 Last night, it took us to Murfreesboro, Tennessee, to Hastings Bookstore for Jan Brett’s Spring Tour promoting her new book, The Easter Egg . 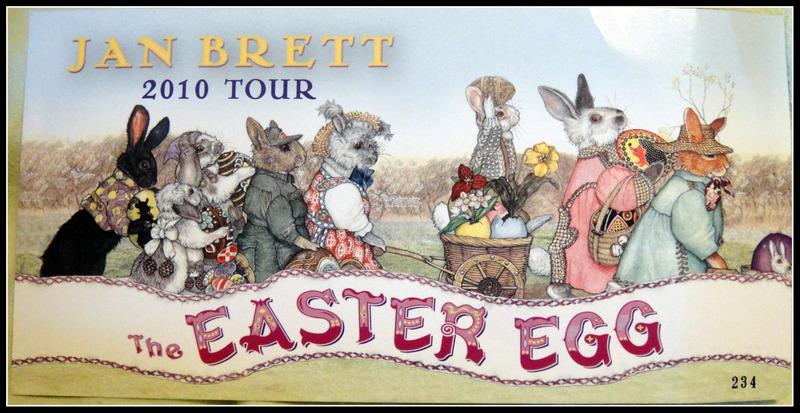 I first read about the tour in an issue of Family Fun magazine (which was actually promoting her handpainted egg giveaway). When I saw on her website that she was going to be only a couple of hours from our home, I immediately begin plotting to go. Nevermind the fact that it was on the eve of one of our busiest weekends of the enter year. Steady Eddie, being the loving man that he is, agreed to my harebrained scheme. When we pulled into the parking lot, we saw the big bus. That was exciting! When we entered the store, we saw Jan Brett set up at her table. There was a long, long line snaking away from the table toward the back of the store. We simply found what we thought was the end of the line and got in it. It turns out that this was only a small portion of the line, and the kind ladies at the back of this portion of the line instructed us to go get a ticket. Ah, a ticket. Do you see that tiny little number in the bottom, right-hand corner? 234. That’s right–we held ticket number 234. 🙂 After conversing with the manager, we decided it might be best to leave, get a bite for supper, and come back. So we did. After enjoying our supper, we returned to Hastings at about 7:00 to resume our place in line. Steady Eddie and I took turns taking the girls around the store to shop. They had $5 from their nana to spend, and those bills were burning the proverbial holes in their pockets. 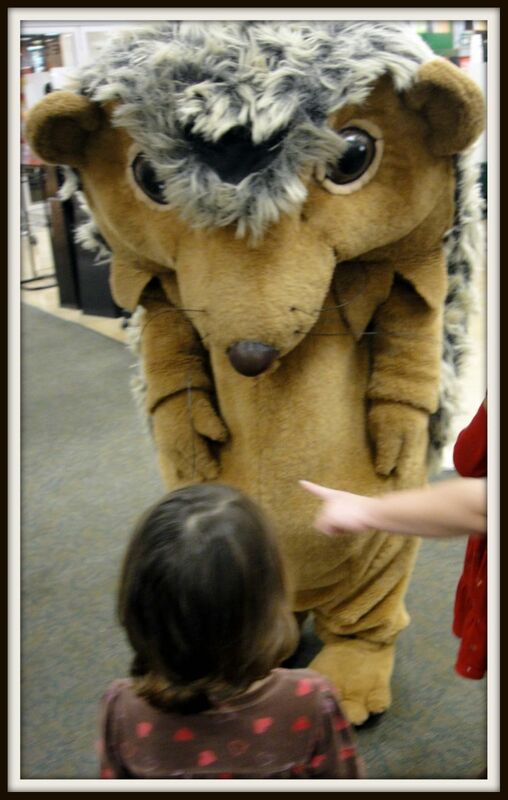 In some of our meanderings about the store, we ran into Hedgie! 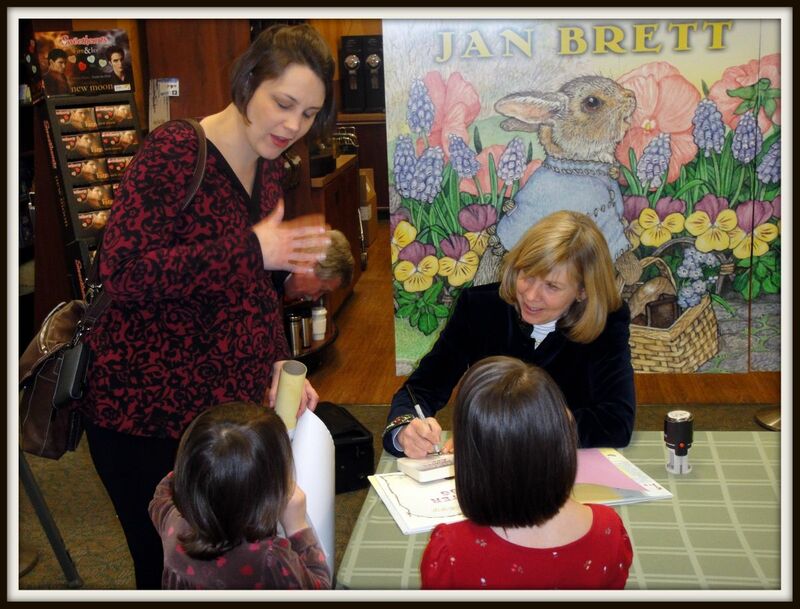 Seven p.m. was the time the book signing was supposed to end, but we were still at the very end of a long, long line, and we had been assured that Jan Brett would stay to the very end. She did. A little bit before 9:00, we made it to the front of the line. When we got almost to the table, I noticed this sweet illustration on an easel. 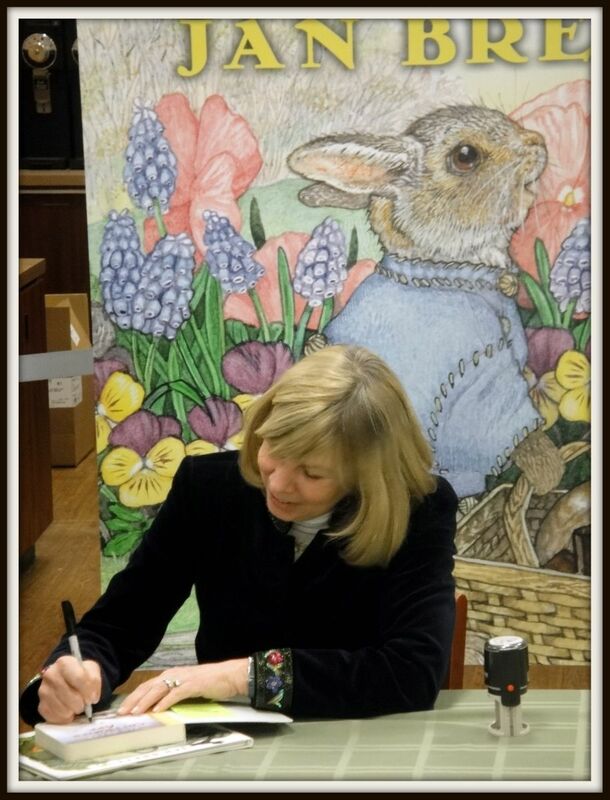 I learned that Jan Brett had demonstrated her drawing skills when the book signing began–at 5:00, before we arrived. I hated that we missed it, but I was glad to snap this picture. 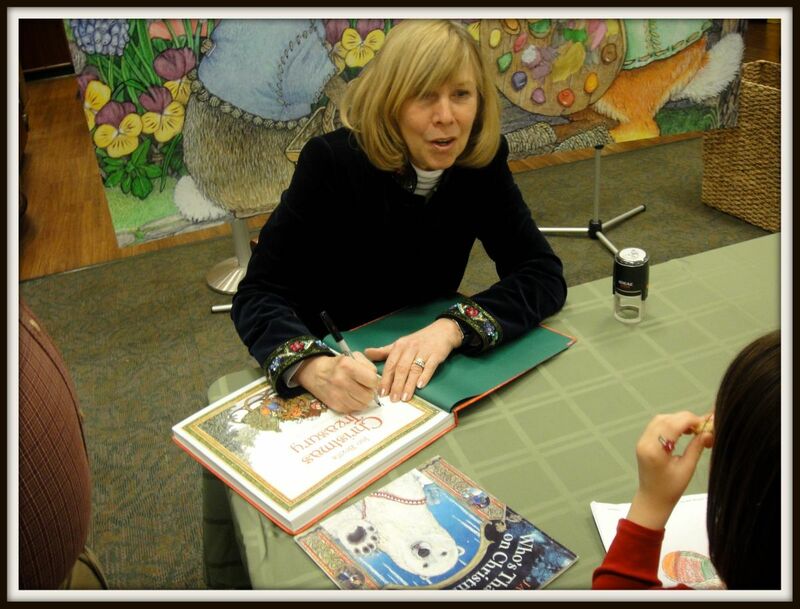 Jan Brett was very kind and engaging, despite the fact that we were ticket holder number 234. 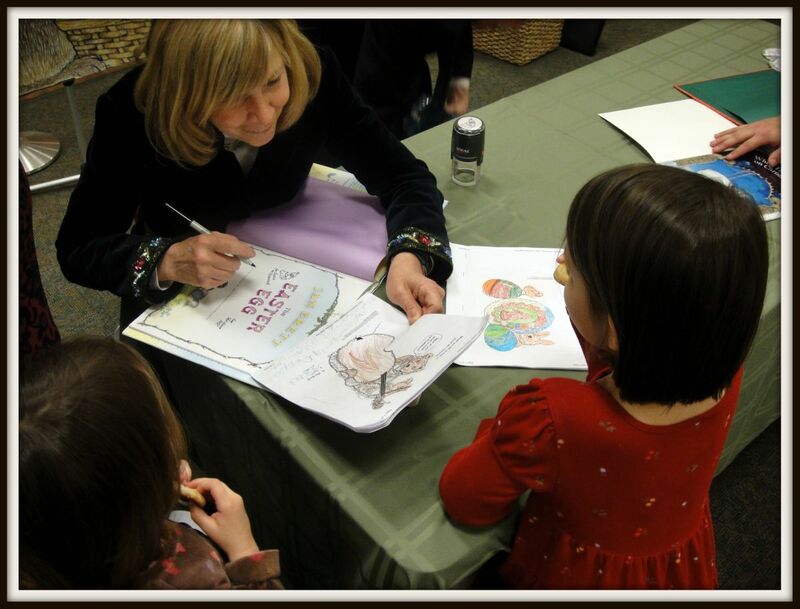 She had already completed one book signing in Knoxville earlier in the day, but she and her handwriting were just as crisp and beautiful as if they had just begun! She spent a little bit of time talking with my girls. They showed her their coloring pages of Berlioz the Bear and some of her other characters. Despite the fact that we didn’t get home until midnight last night, I am very glad we went. 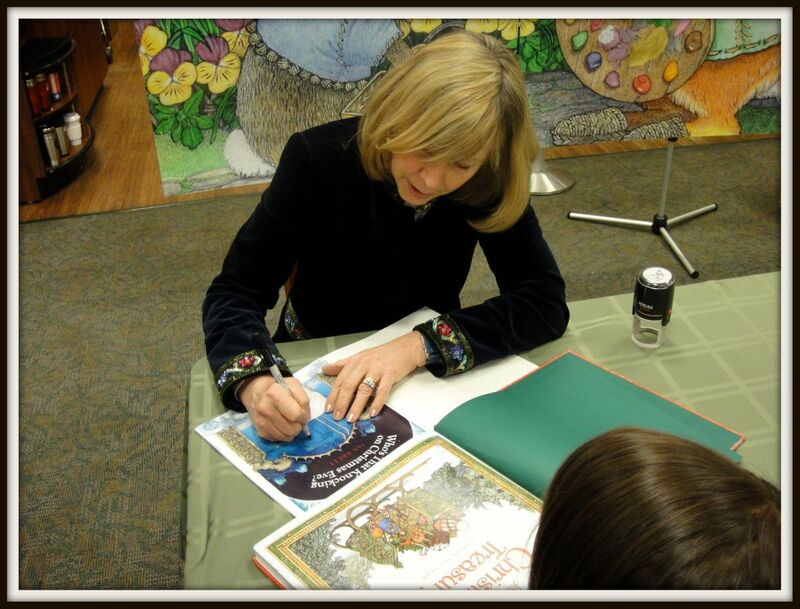 It was exciting to meet this real-life, extraordinarily talented, and very famous author and illustrator. I hope my girls remember this, but if they don’t, we have the books (and the pictures)! We still haven’t even had a chance to read either of the new books (and truthfully, I bought On Noah’s Ark in board book format for baby brother), but I’m looking forward to sharing them with the girls. 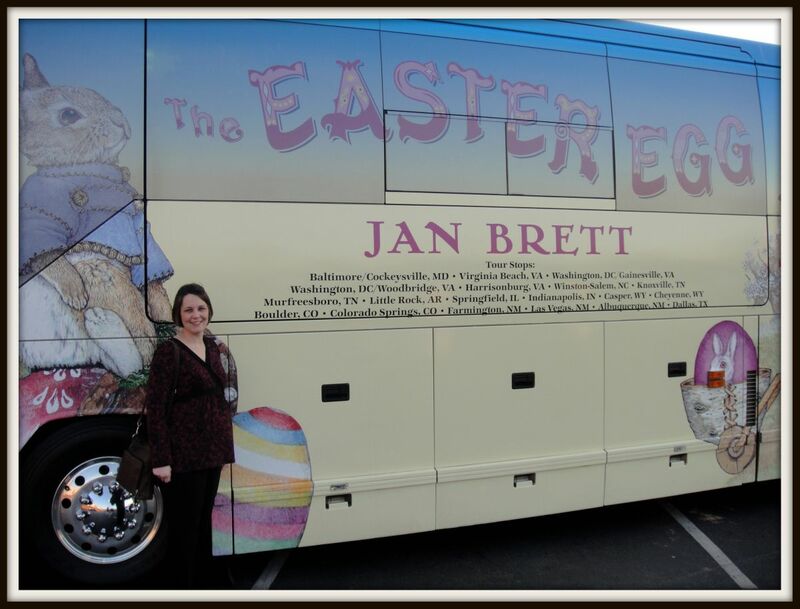 I’m glad we got to take part in Jan Brett’s 2010 Spring Tour! Please excuse this hastily written post, but I wanted to share these pictures and our little adventure before I go on semi-bloggy break for the next couple of weeks. I’ll still be posting some TOS HomeschoolCrew reviews and Read Aloud Thursday will go on as usual, and I might have a few other pre-scheduled post. Other than that (!!! ), things should be quiet here. 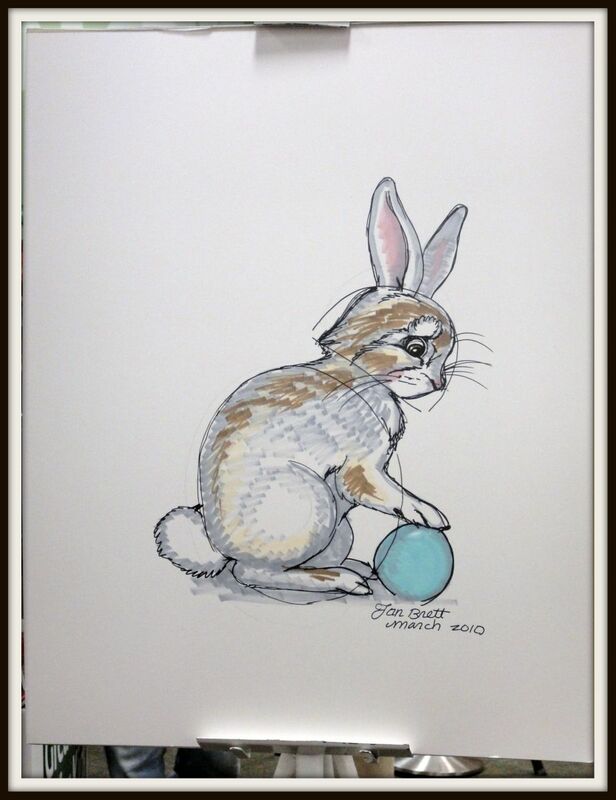 My quilting post I promised earlier in the week will have to wait until after Easter. By then, I will be posting at my new, self-hosted address! That blog will go live April 5. I just wanted to post a quick follow-up to my St. Patrick’s Day post in which I declared that we would be making this cake or these cupcakes today. I opted for the cake after I read lots of comments following the cupcake recipe with phrases like “this took a lot of time” or “time consuming,” etc. Ours was something of an ill-fated project from the beginning: I spilled a little bit of the batter after I added the water to the cake mix, so I guessed at how much water to put back in. Then, I realized that we only possessed two eggs, not three, as the recipe demanded. Last, Louise managed to drop an entire bottle (the bottle too, not just the contents) into the bowl of batter she was tinting. All things considered, I think it turned out pretty well. The girls agree. Thanks to everyone who responded to my Sick Day post. I didn’t get around to responding to the comments, but I took them to heart, which is better. You know, I’m finding out more and more about myself as we travel down this parenting and home educating path, and some of the stuff I’m finding is not so good. I’m learning mostly, though, that perhaps this home education thing is as much about me as it is my children. I believe that God uses everything in our lives, if we are His, to mold us into the image of Christ. Unfortunately, sometimes I’m pretty unpliable. But He keeps kneading. By Wednesday of last week, I thought Lulu was surely better. Tuesday had turned out to be even “less productive” academically than Monday, but by Tuesday evening she seemed like her usual self–no fever, playing, etc. On Wednesday I’d had enough of staying cooped up indoors, so I declared that day a “let’s each lunch with daddy” day and plunked both girls in the bathtub first thing. I even insisted on washing their hair, despite Lulu’s complaints. (Nothing unsual here, I thought–she never wants her hair washed!) We proceeed to eat breakfast, and she ate a hearty one: half of a cinnamon raisin bagel with peanut butter and a small glass of orange juice. We did our morning tidy-up chores (minus the bed-making; I had stripped their beds for washing since sickness had fled our household!) and the girls settled onto the couch for our morning reading time. They were finally both settled with their own blankets (there was a slight skirmish over this). Parents of small children know where this is going. We were in the middle of our Bible story: a recounting of God giving the law to Moses, sort of an overview of the whys of all the little rules and regulations found in Exodus after the Ten Commandments, when the next thing I knew, Lulu had vomited all over me, her blanket, and our Bible story book. The next few moments weren’t pretty, folks. She and I both panic when this happens: she wants to run everywhere but the bathroom, and I do everything within my power to get her into the bathroom. She’s upset, I’m upset, it’s not good. The next couple of hours are a blur: put her into the bathtub; remake her bed; repeatedly ask Louise not to ask so many questions (yes, I did); take another shower myself and put on whatever I can find to wear since every one of my three outfits that I can currently fit into is dirty; mop the floors; call Steady Eddie numerous times to apprise him of the situation (yes, I did); contemplate how to remove the yucky stuff from the sofa cushions; etc. 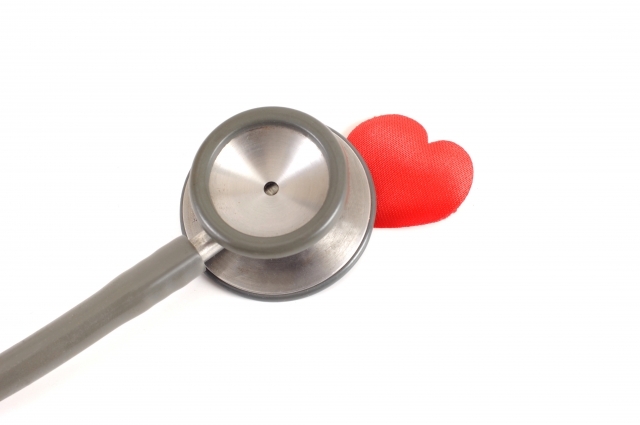 Mostly, I felt guilty over how I handled the whole sick situation and how I had pushed her, due to my own selfishness. This isn’t about her education, is it? It’s about mine. This is what I’ve learned: when they’re little and they’re sick, let it go. Reading to them, being patient with them, and loving them is enough. As hard as it is, forget the agenda. Forget the lesson plans. Forget the human body unit that you’re falling even further behind on. Forget where you want to be by the end of April. Just let it go, and let them know that you love them and are taking care of them. By Thursday, she was over all of the obvious symptoms of her sickness, and we actually completed everything I intended for us to complete, with an extra phonics lesson thrown in for good measure. At the risk of sounding more melodramatic than I already have, I just want to say that I’m thankful that God doesn’t give up on me, even when it seems that I am exceedingly slow at learning these parenting lessons. He keeps kneading. 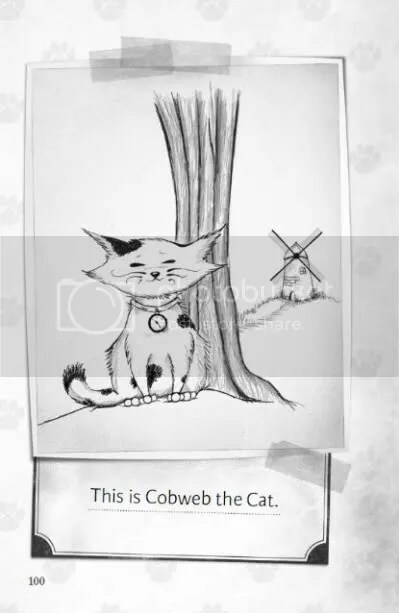 The Story About Ping probably doesn’t need much of an introduction, but I wanted to share a few of the books we read and an activity we did in relation to this story. For those who are unfamiliar with this classic tale, it’s Marjorie Flack’s story of a little duck named Ping who lives with his large family on “a boat with two wise eyes on the Yangtze River” in China. The ducks all leave their home during the day to hunt for food, but once the sun begins to set, the Master of the boat calls them back. It is unfortunate, though, to be the last duck to return; this duck always receives a spank on the back. One day, Ping is running late, and rather than be the one to get the spank, he decides to not return at all that night. What follows is a short little series of adventures which end up with Ping almost becoming a duck dinner. He learns his lesson, though, and decides that home’s best, spank or no spank. Marjorie Flack (who also wrote and illustrated the Angus stories) first published this book in 1933, so it’s a real classic. Kurt Wiese‘s illustrations are colorful and depict the action in the story very convincingly for the preschool set. (As a side note, Kurt Wiese spent some time in China and later in Australia as a prisoner of war of the Japanese. This is where he discovered and honed his talent for illustrations. Interesting, huh?) The Story About Ping is really too good to miss, which is why it’s included in the first volume of Five in a Row. We didn’t “row” this book fully, and I decided to dispense with the lapbooking this time. As much as I want to, I just can’t always make myself love lapbooking. It’s a love-hate relationship, I guess. I think that if my children were older and had the motor skills necessary for lots of writing, etc., I might like it more. I’m not crossing it off the list yet, but I think it will be something we do sometimes instead of all the time. What we did, though, is share several other books set in China, as well as celebrate Chinese New Year with the reading of The Story About Ping. The book I liked the most that we read is Arlene Mosel’s Tikki Tikki Tembo, a book which certainly deserves its own Friday’s Vintage Find post. Tikki Tikki Tembo is a book I remember from my own childhood–I loved it! It takes some practice (or familiarity, at least) to read it well, but the effect is worth it. Another more recent book we enjoyed is The Moon Lady by Amy Tan. I was curious to read something by an author I previously knew only as an author of adult fiction, and neither I nor the girls was disappointed. 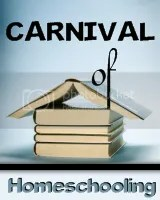 This book, as well as the books I highlighted here, were perfect to go along with the Chinese New Year festival. We read a few more, including some nonfiction titles to provide some visual images of the Yangtze River and life in China, etc., but these two were the best picks. 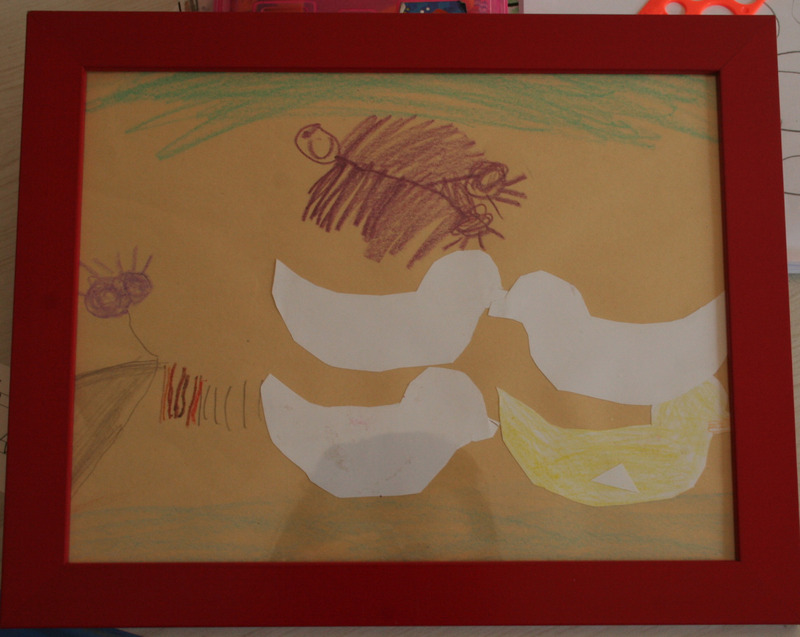 Louise once gain had her own idea about how this art activity should go. Her boat does have “wise eyes,” though. Lulu included not only the ducks, but also a fishing bird that appears in the story. (I think the birds are actually cormorants.) Do you see the “wise eyes” on her boat? Last, no study of another country is complete without at least looking at a map! 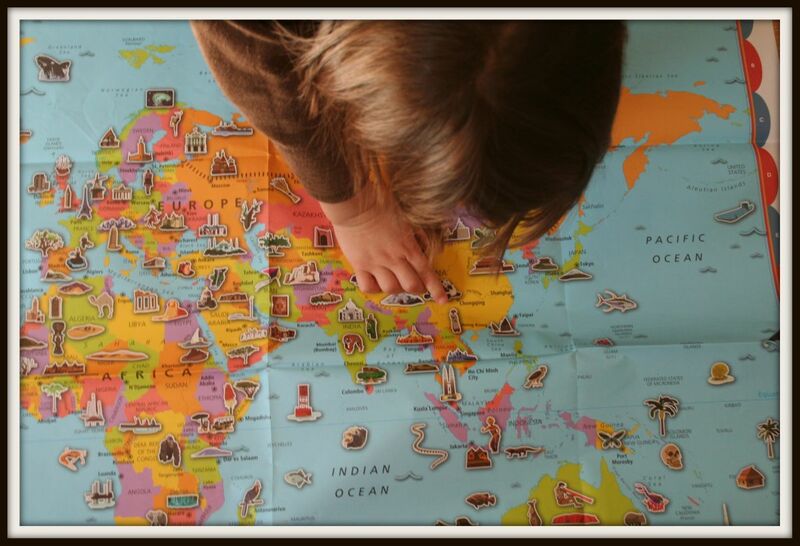 I’ve still yet to get our map up on our school room wall, but I did pull it out so we could find China and the Yangtze River. 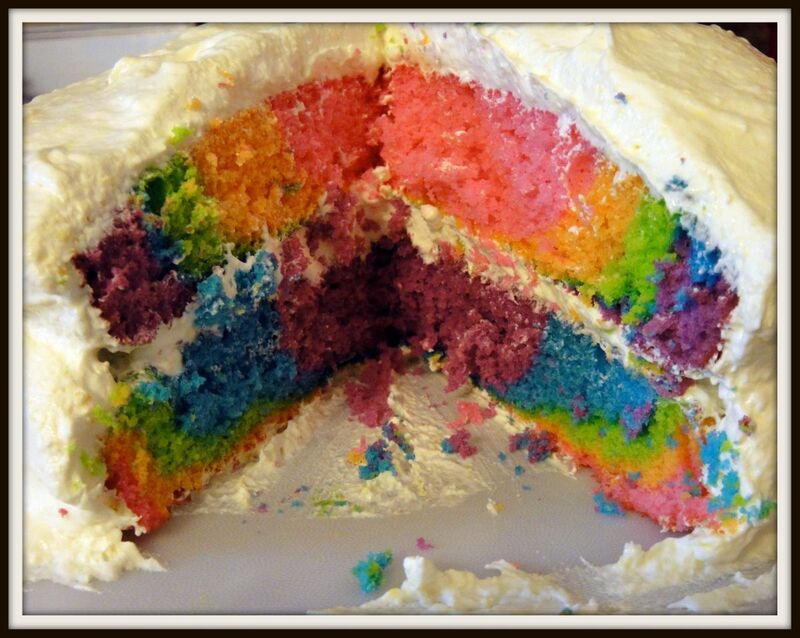 The girls loved this! 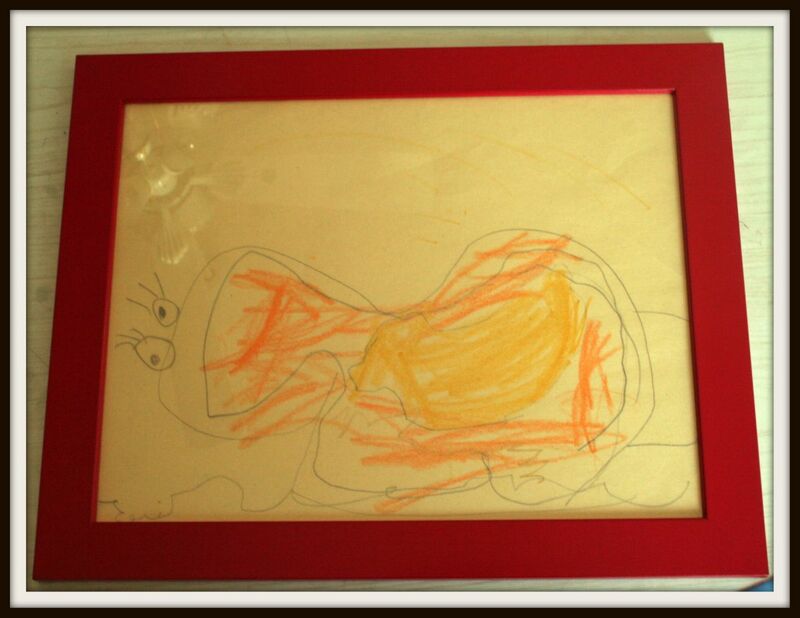 I’m linking this post to this week’s stART at A Mommy’s Adventures. This is a great meme to which bloggers link their children’s literature-related art activities. Won’t you consider joining in? As a member of TOS HomeschoolCrew, I was sent the Beehive Reader 1 by Marie Rippel and Renee LaTulippe to review. Beehive Reader 1 is a phonics-based reader written for use with the All About Spelling curriculum. (Read my review of All About Spelling here.) 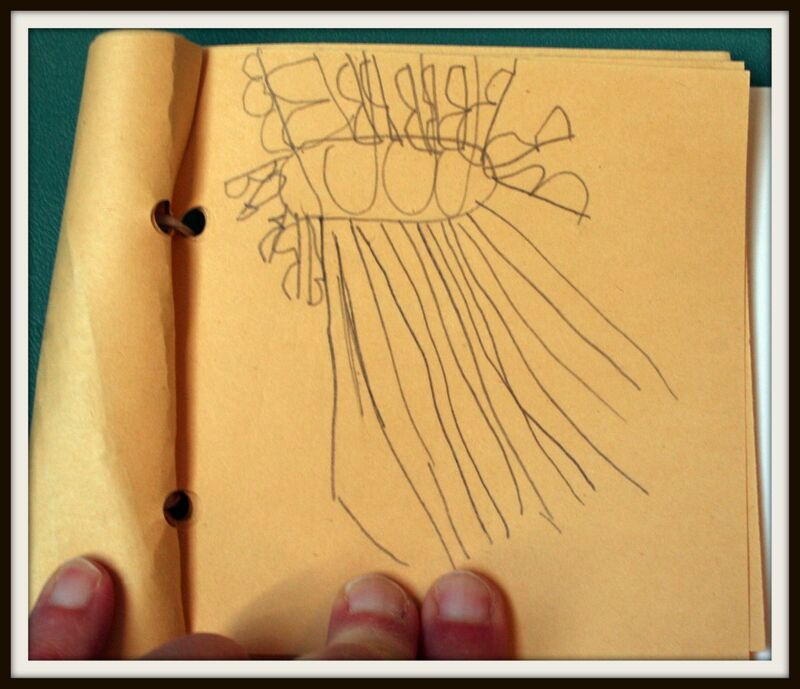 However, the reader can also be used independently of the spelling program, which is what we did. 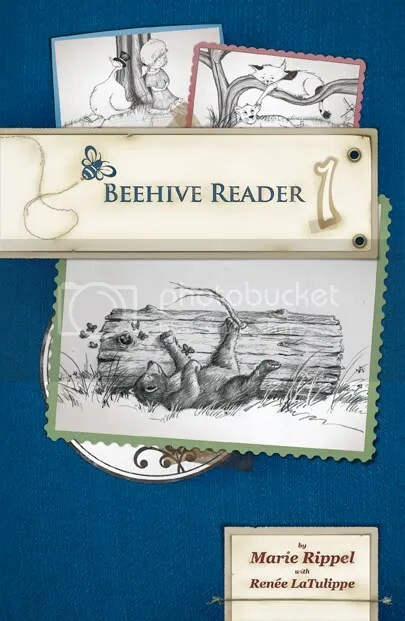 Beehive Reader 1 has an old-fashioned feel to it, with black-and-white pencil sketch-ish illustrations. It’s really quite lovely. The illlustrations are simple enough to not be distracting, but interesting enough to encourage the reader to want to keep reading. Beehive Reader 1 contains ten stories, and the stories grow progressively more difficult. To put it simply, it’s just a reading textbook (or maybe a supplemental reading textbook would best describe it, since it contains no instructional materials), and it serves that purpose well. I think if we were using All About Spelling as our primary language/reading curriculum, I would use this supplementally. However, I’m not sure I would shell out the $19.95 for this as a stand-alone book. We have reading materials in abundance here at the House of Hope, and we have access to several well-stocked libraries. However, if phonics readers were in short supply, I might consider a reader like this. 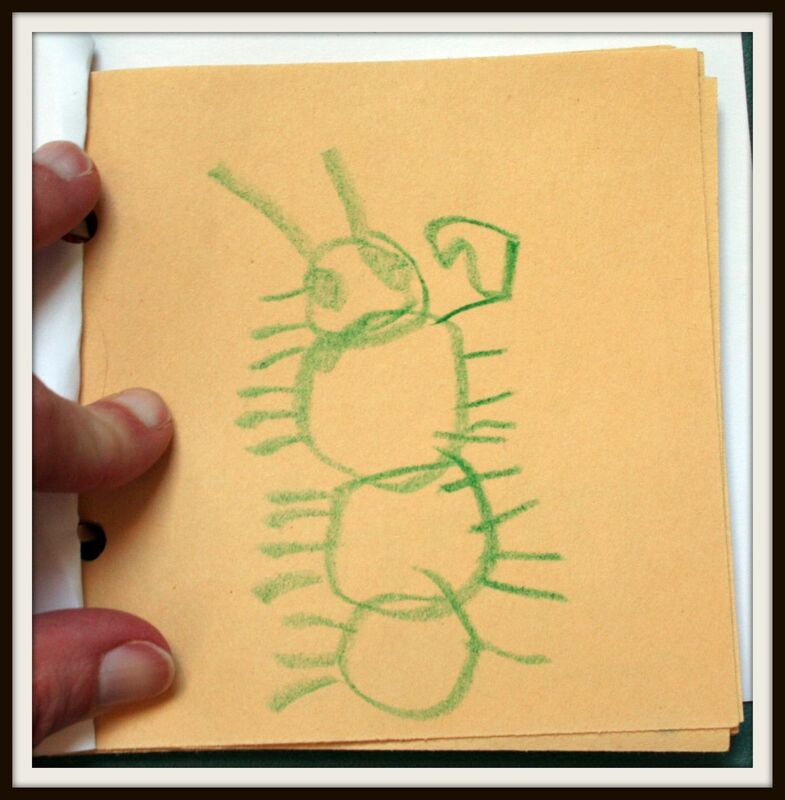 For other opinions about Beehive Reader 1, be sure to visit TOS HomeschoolCrew blog. I received this product free of charge for review purposes. Lulu awoke very early this morning, and after she had been up for a while she complained of having a sore throat. I didn’t think much of it, really, and by the time this transpired we had already begun our school day. We begin our “learning time” on our couch (or, for those not from the South, our sofa), reading together. We read a Bible story, have a short devotion, work on our Bible memory passage. Then, I usually read at least one book of each girl’s choosing. Last, I read whatever I have chosen for that day’s focus: usually it’s something science or FIAR-related. Today it was more books about the skeleton/bones. After this, I usually supervise Lulu’s piano practice (and Louise’s, too–she has nothing formal to do, but she insists). However, today Lulu just wasn’t up to it. I gave her the option of watching a short DVD (which is something we never do at this time of day), and (of course), she chose to do that. I had forgotten that we have a Bill Nye DVD about the skeleton borrowed from the library right now, so Bill Nye it was. By the time the DVD was over (about 30 minutes), it was apparent that Lulu is indeed sick, so I scrapped the formal plans for the rest of the day. I read three chapters from our current chapter book read-aloud, The Boxcar Children, and they would’ve listened to more. Lulu then listened to part of the audiobook Akimbo and the Lions while Louise and I ate lunch since she had no appetite. In fact, she dozed off while listening to the story. While Lulu napped, Louise and I made some granola bars (from Family Feasts for $75 a Week, a book I hope to review soon). When Lulu woke up, I coaxed her bribed her to take some Advil for the fever she had developed. The bribe? Watching the Molly movie together. 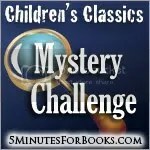 Now she and Louise are in their room listening to The Rescuers, if she isn’t already asleep. I’m not giving a play-by-play of our day because I like to hear myself “talk,” I promise. What I need is some good old homeschooling advice. When is a sick day still a school day? I have to keep records of how many days of school we have, and I’m honestly pretty desperate to get kindergarten finished before baby brother makes his appearance. In fact, I’d like to finish as far in advance of the blessed event as possible. 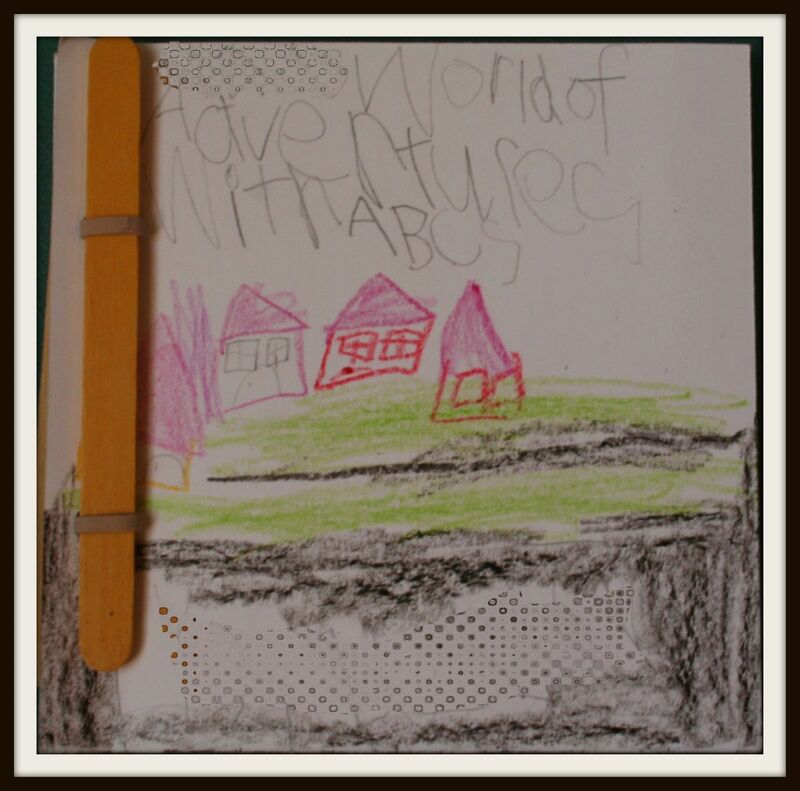 Today we none of our formal work–phonics instruction, math, handwriting. However, we have done an enormous amount of bookish things today–more than usual, in fact. Upon the advice of some wise homeschooling parents over at The Well-Trained Mind forums, I’m counting today, but I’d like to hear more discussion about it. (It’s really hard for me to silence my internal box-checker!) If you homeschool your children, how does this all pan out in your school? I’m all ears. It has been a crazily busy week here at the House of Hope, with a couple of doctor appointments and a day trip for Steady Eddie and me on my birthday. (Bless him, he worked hard to rearrange his schedule so he wouldn’t have to spend the night out of town on my big day. It was still a work trip for him, but I got to putter around and spend an inordinate amount of time browsing in a huge bookstore, so it was a good day, at least for me. What a guy!) I said all that to say that although we have lots of books from the library, we’ve had a hard time getting to them this week. I’m pulling a couple of books that we enjoyed several weeks ago, instead, and sharing them this week. Hopefully next week I’ll have more current read-alouds to share! Easy Work! An Old Tale is an adaptation by Eric A. Kimmel of an American folktale, and my girls thought it was hilarious. I’m not sure, but I think it might be because Mr. McTeague dons his wife’s dress, bonnet, and apron, as you can see here on the book’s cover. Andrew Glass did a marvelous job of visually translating this very funny story. The story, in a nutshell, is this: Mr. McTeague thinks his wife, in all her housewifely duties, has it made. She sees a golden opportunity (and he thinks he does), so they agree to trade jobs for a day. Well, predictably, things don’t go very well for Mr. McTeague. His homekeeping catastrophes are really funny, especially as he devises ways to make the work easier for himself. In the end, though, he learns his lesson: he’d rather leave the homekeeping to his wife and return to his work with the oxen in the woods. I see from Eric A. Kimmel’s website that he is a very prolific writer, especially when it comes to folktales from around the world. I’ll definitely keep him in mind as I plan for next year’s schooling! This is her G page. This is a gorilla, and if you look closely (and think backwards 😉 ), you’ll see that the gorilla’s claws (nails? what do gorillas have?) are shaped like g‘s. 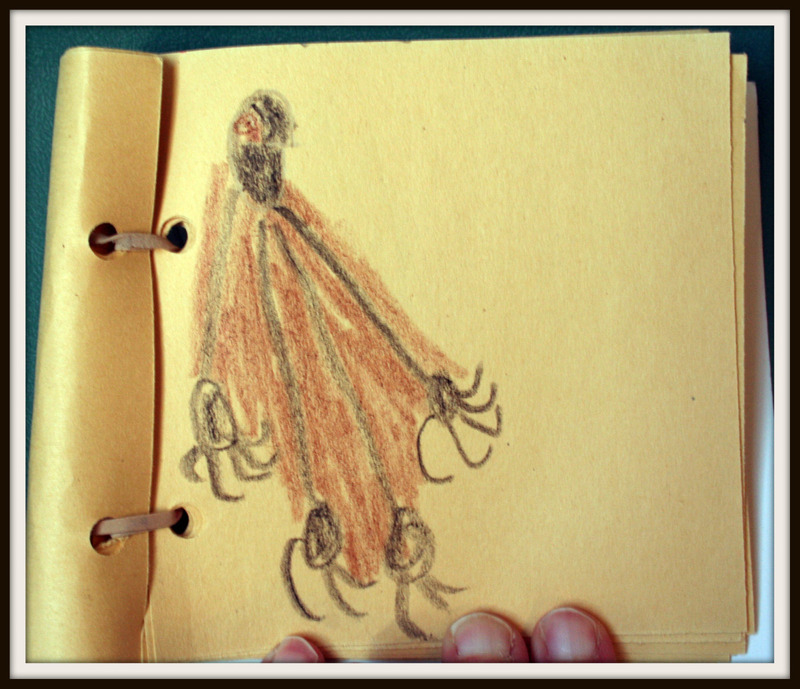 One more: this is her J page, and naturally, these are “jumping j‘s” on a trampoline. Now it’s your turn! What have you been reading with your family this week? 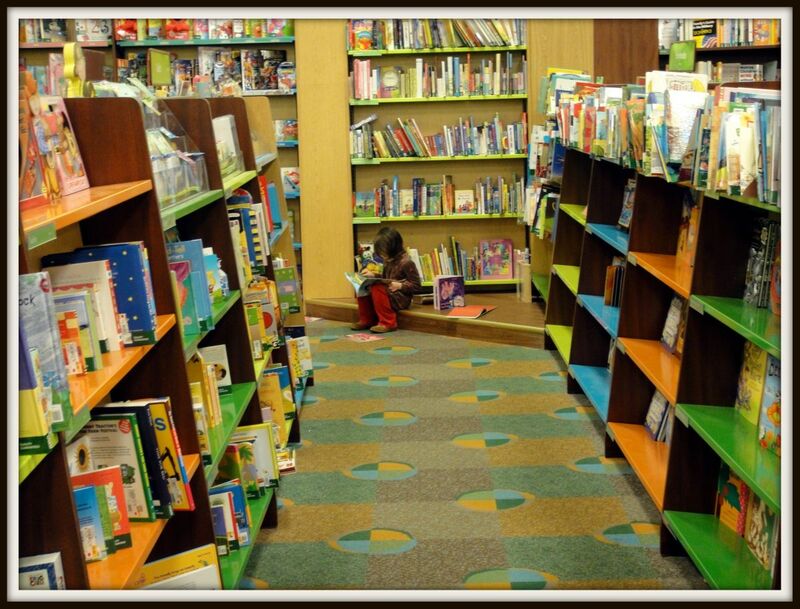 Leave a link below to your blog post in which you discuss your read aloud selections, or simply leave a comment. 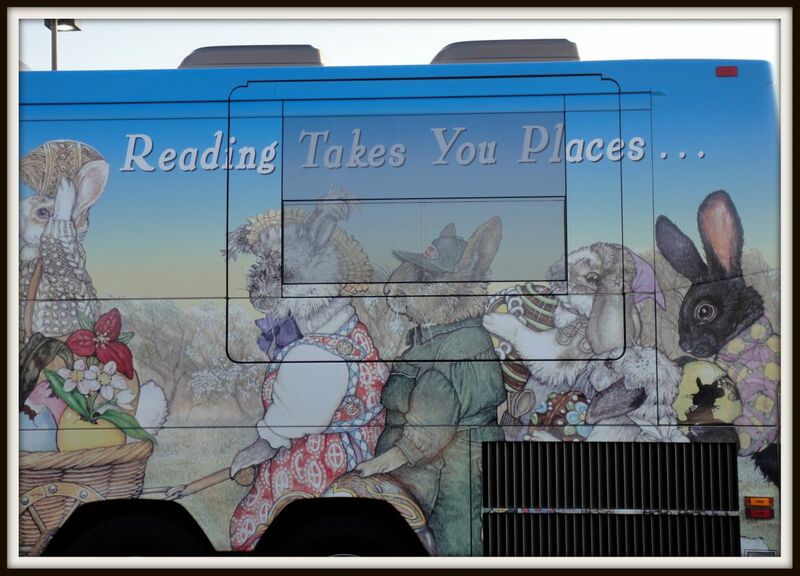 Have a fantastic Read Aloud Thursday! ETA: I am linking up this Read Aloud Thursday post to a fun meme called stART over at A Mommy’s Adventures. This meme is for posts which combine stories and art. Check it out!